Fact: 1 in 3 women die of heart disease and stroke each year. 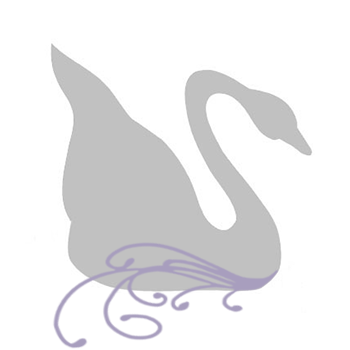 How can you help save women's live? Go Red for Women! 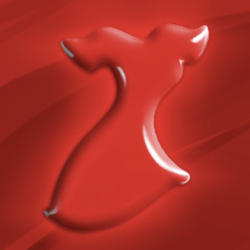 The American Heart Association's Go Red for Women campaign has designated February 6, 2015 as National Wear Red Day. It's a day to raise awareness about heart disease and the fact that it's the No. 1 killer of women. Why is red the color of this awareness cause? -Red is a powerful color. I urge you to become familiar with Go Red for Women, especially the signs of a heart attack. It could save your life or someone you know. -I will offer that 100% of the net proceeds of the following two pieces of handmade red heart jewelry will be donated towards education about heart disease and stroke. This offer will end at 12:00 midnight, EST, February 6, 2015. Handcrafted beaded bracelet features both aurora borealis (AB) and red Swarovski Crystals, .925 Bali spacers, sterling silver and a red sacred heart Swarovski Crystal heart charm. Finished with our signature jewelry tag and measures 7-3/4". The giving of ones heart on Valentine's day is represented through heart-shaped boxes of chocolates. This year, be different. Be unique. 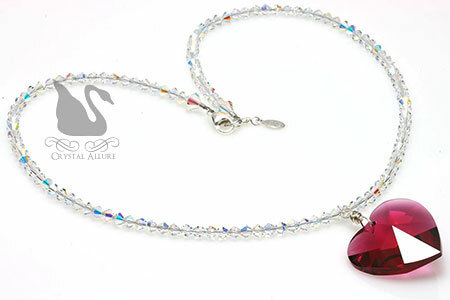 Steal her heart with this handmade beaded necklace featuring a generous 28mm Swarovski Strass Bordeaux Heart pendant suspended from a fully beaded strand of nearly 120 sparkling aurora borealis (AB) Swarovski Crystals. The length is PRINCESS at 18".